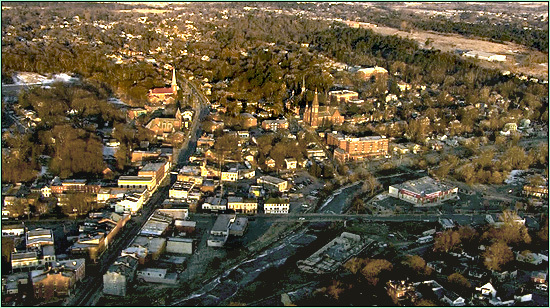 an aerial view of the town of Port Hope, in Ontario, Canada. If you can handle Google Earth, here's a matching 3-D aerial view. 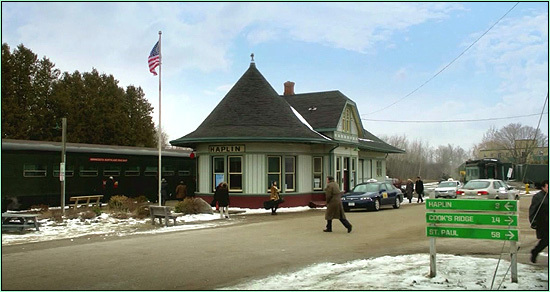 As the pilot episode begins, we see young Henley Boone arriving in Haplin, at a train station. on Railway Street (at Spruce Street), in Uxbridge, Ontario. That's about 30 miles northwest of Port Hope. 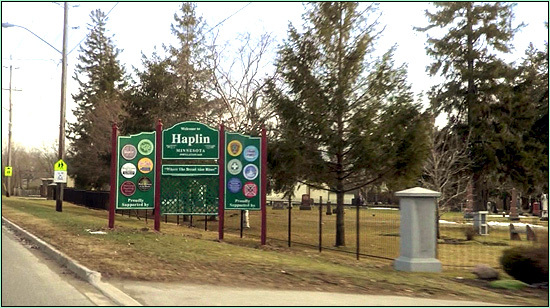 "Welcome to Haplin" sign, which is next to a cemetery. outside the St. John's Cemetery, at approximately 114 Toronto Road. 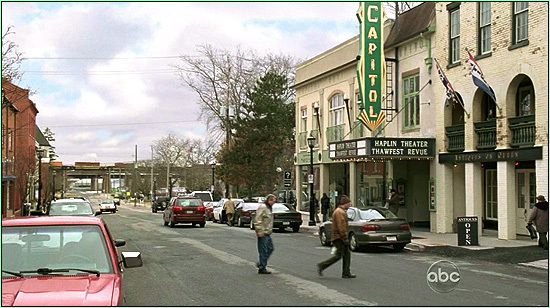 When Henley and the real estate woman drive into town, we see Haplin's Main Street. 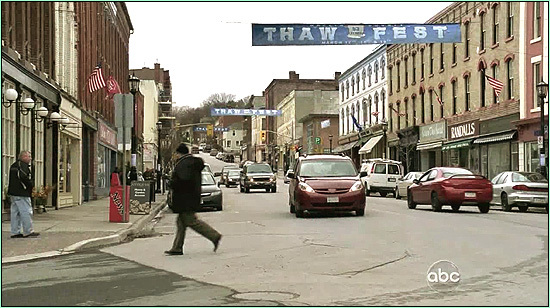 Not surprisingly, this is actually the main street of Port Hope: Walton Street. 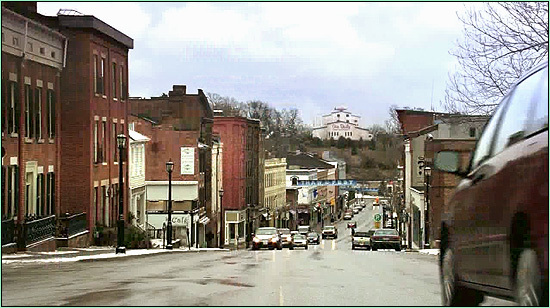 In the photo above, we are looking east down Walton Street, from around 135 Walton. from the intersection of Walton & Queen Street. They make a right turn, and that takes us from Walton Street onto westbound Queen Street. That theatre marquee on the right side is the Capitol Arts Theatre, at 19 Queen St. 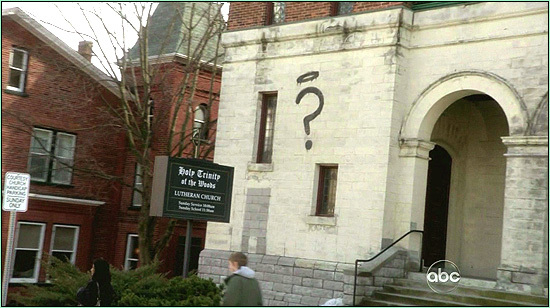 They then pass a church with that odd question mark/halo logo spray-painted on the wall. They cheated a bit here, since that church is not really on Queen Street. That church is actually St. Paul's Presbyterian Church, at 131 Walton Street. in Port Hope. More "Happy Town" Locations! Just click below.